Over the last several months I upcycled and/or repurposed the above thrifted items. I had a plan. These items were going to be new desk decor. 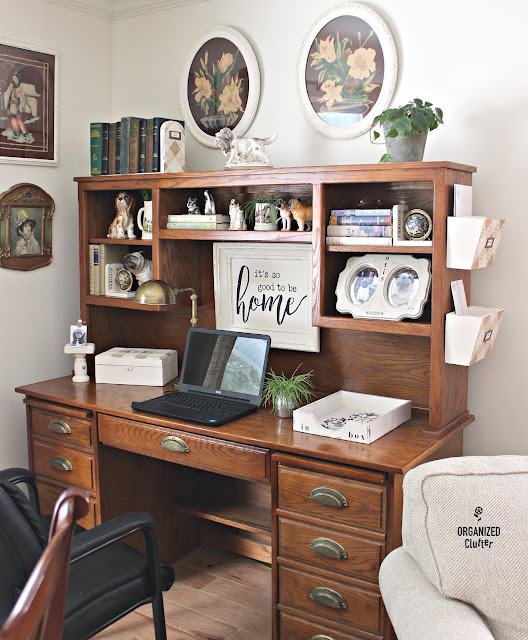 I wanted to lighten up the desk without painting the WHOLE desk and hutch too. 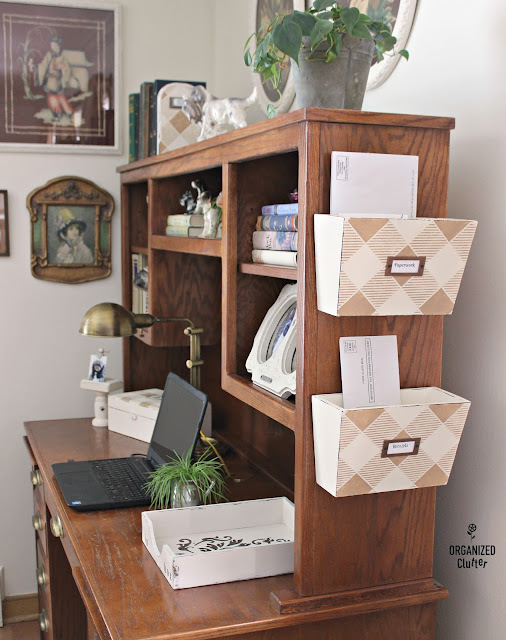 See how I used these pieces on my desk. First of all, here are the wall bins that I took apart, painted and stenciled. I pounded in a very small nail, very carefully to hang them on my desk hutch. 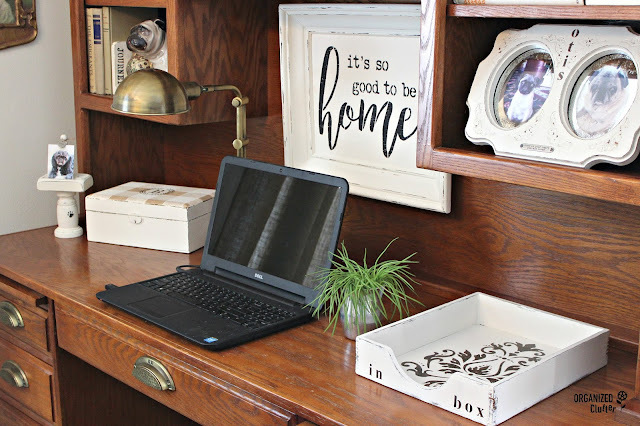 My desk tray "in box" was painted and stenciled HERE. 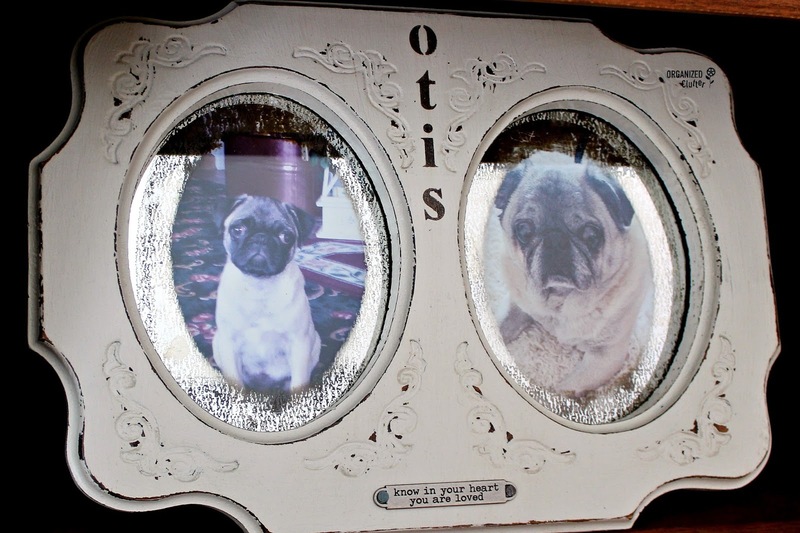 I upcycled a double frame and stenciled it for photos of our dear pug that we lost one year ago. I just added the Tim Holtz craft metal band to the bottom with small brads. "Know in your heart you are loved." 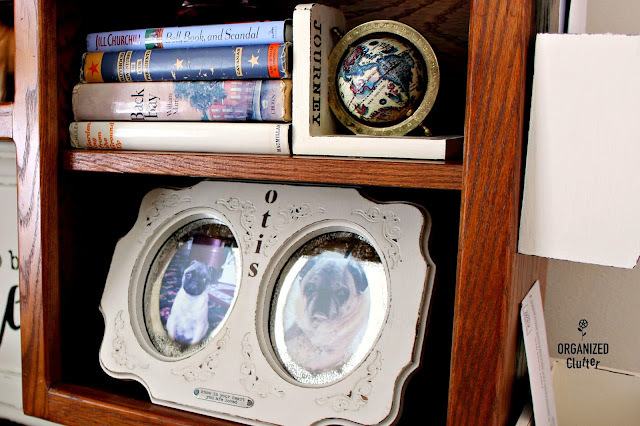 The desk area is a great place for Otis's photo, as my vintage dog figurine collection is displayed here as well. 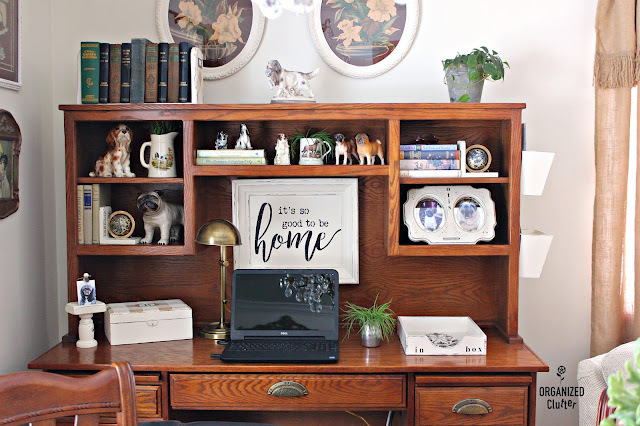 One of the vintage globe bookends on the top right hutch shelf was upcycled HERE. 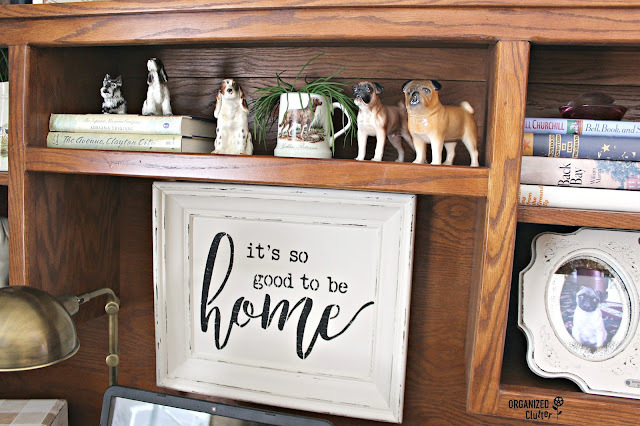 The dated picture that I painted and stenciled into a "home" sign was upcycled HERE. Here are the playing card photo holder and the hinged wooden box upcycle . The other globe bookend is here on the left side of the desk. 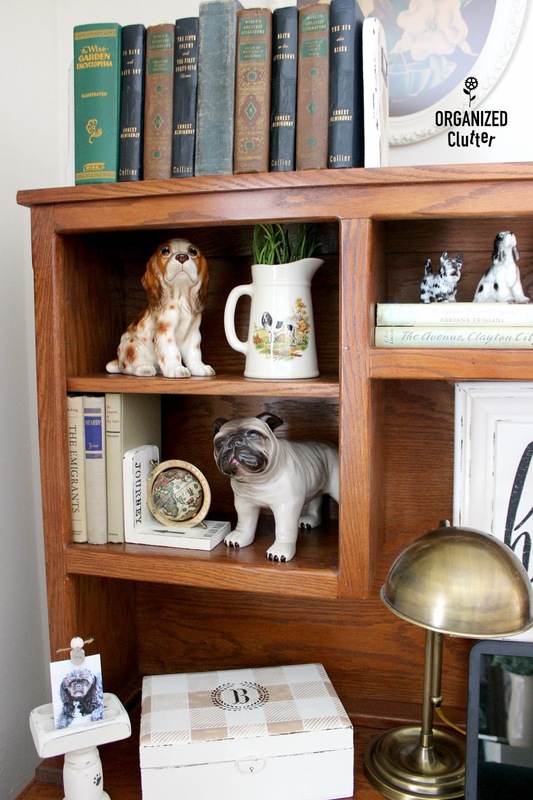 The buffalo check bookends are on top of the hutch. I also painted the frames on several vintage art pieces, old white, to brighten up the walls around the desk. I may paint the whole desk or maybe just sell it and put a different piece of furniture here. A few more small projects coming in the rest of the living room before more photos! I just love it how you have upcycled these items. These are looking lovely. Thanks for sharing the post. This all turned out so great used on your desk! I love the separated bins...and of course, the sweet photos of Otis...xo.